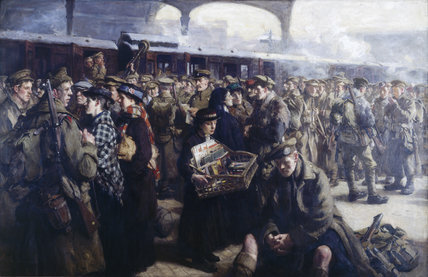 Returning to the front, Victoria Station, London', 1916. Oil painting by Richard Jack. Copyright to be cleared with York City Art Gallery. 'British Industries - Steel', 1924.